A grand jury has decided not to bring charges against a white policeman over the killing of 12-year-old Tamir Rice. Ohio prosecutor Tim McGinty called the events that led to the death of Tamir Rice a “perfect storm of human error”. However, Tim McGinty said it was not unreasonable for the officer to fear for his life. Public officials in Cleveland on December 28 urged the public to remain calm and to protest peacefully. State Senator Sandra Williams said any unrest would hamper progress but still called the decision a “grave miscarriage of justice”. The announcement comes at a time when the deaths of black men at the hands of police have sparked a national debate. Tamir Rice was carrying a non-lethal pellet gun when police approached him in Cleveland in November 2014, in response to a 911 call reporting a man waving and pointing a gun at people. The caller said the gun may not be real and the perpetrator could be a juvenile. Tim McGinty, who announced the grand jury’s decision on December 28, faulted the emergency services dispatcher for not relaying that information to the officers. Officers Timothy Loehmann and Frank Garmback have said the gun looked real and urged Tamir Rice to raise his hands three times. 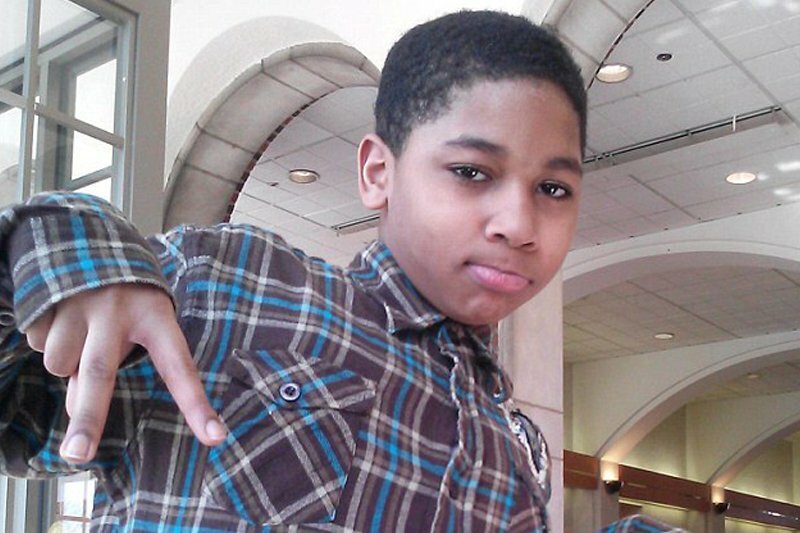 Timothy Loehmann shot Tamir Rice twice after the boy pulled the gun from his waistband. The officers said they believed Tamir Rice was older than 12. He weighed about 175lbs and stood 5ft 7in tall. The toy gun lacked an orange safety tip and Tim McGinty urged toy manufactures to stop making replicas that look like real guns. Tamir Rice’s family has said police fired too quickly and should have used a Taser, a non-lethal weapon. Footage from a surveillance camera shows Timothy Loehmann firing moments after police arrived at the scene. Although the officers’ actions were not criminal, Tim McGinty said Cleveland had learned from the shooting. “It should never happen again, and the city has taken steps so it doesn’t,” Tim McGinty said.